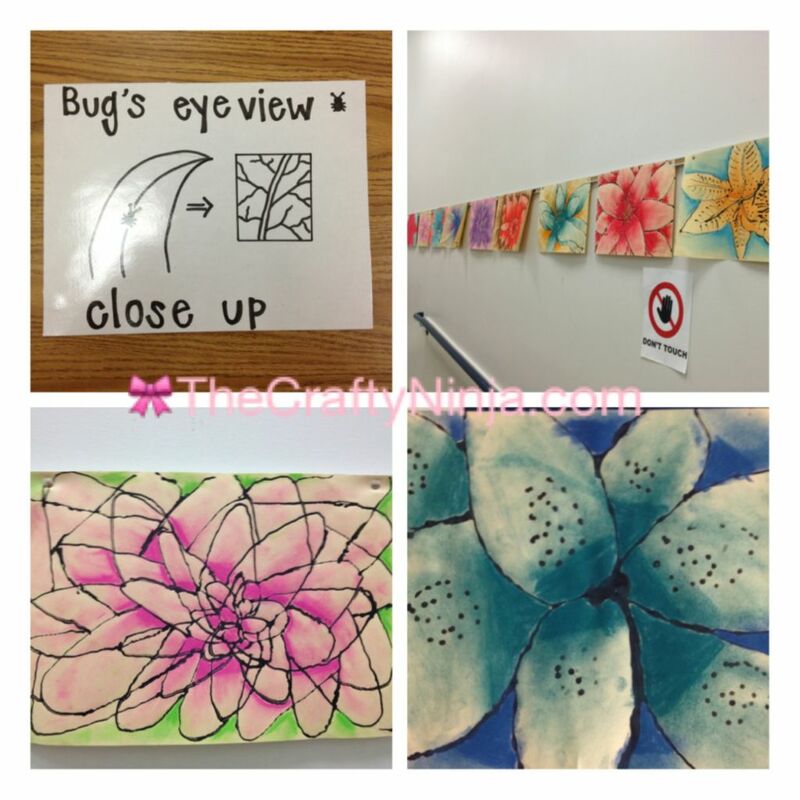 This elementary art lesson was inspired by the artist Georgia O’Keeffe. Here is a O’Keeffe PowerPoint I created for the fourth and fifth graders. First I talk about three different perspectives: bird’s eye view, worm’s eye view, and bug’s eye view. Then the students look at O’Keeffe images and do a quick sketch before they have a discussion of what they see. 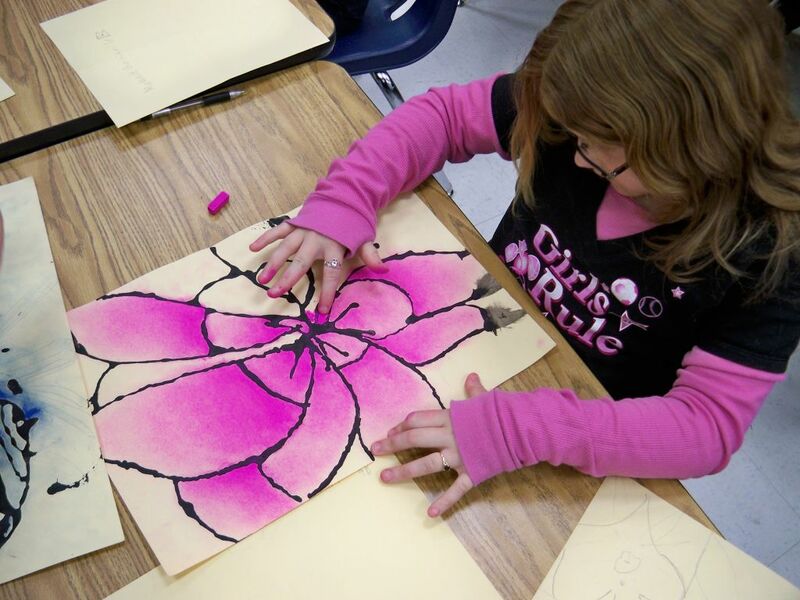 Then the students get a silk flower and draw a bug’s eye view perspective drawing. The students then draw a contour line drawing by tracing the lines with black glue. I made the black glue by mixing India ink and regular glue. I teach about chalk pastel techniques and how to create value. The students finish their beautiful masterpieces and I hang their artworks for the entire school to enjoy.